For two years, New Yorkers have been planning for and dreading "L-mageddon," a subway rehabilitation project that would have meant 15 months of painful detours for the quarter million riders a day who use the L train to get between Brooklyn and Manhattan. Gov. Andrew Cuomo abruptly canceled the plan Thursday, just three months before it was to take effect, saying a team of experts had come up with a way to overhaul a flood-damaged tunnel beneath the East River without closing it or even significantly curtailing service. "With this design, it would not be necessary to close the L train tunnel at all, which would be a phenomenal benefit to the people of New York City," Cuomo, a Democrat, said at a news conference announcing the new plan. He was flanked by engineering experts from Columbia and Cornell universities who dreamed up the proposal. The surprise announcement came after years of planning for the upheaval expected to be caused by the tunnel's closure, which was supposed to happen in April. Brooklynites had already begun rearranging their lives for the expected "L-pocalypse," with some changing jobs or apartments to avoid the looming commuting snarls. Mike Doran was considering leaving Williamsburg over the pending chaos of an L train shutdown. But now? "It takes a little bit of the pressure off, and I'm thinking about staying. Because shutting it down, we were getting out of dodge, you know?" he said. Many had already gotten out, fearing property values might plummet. My heart goes out to all the people who actually moved away from their apartments thinking they were no longer going to be able to get to work, only to have the city turn around and cancel the #LTrainShutdown. I even wonder if there's grounds to sue for those expenses back. 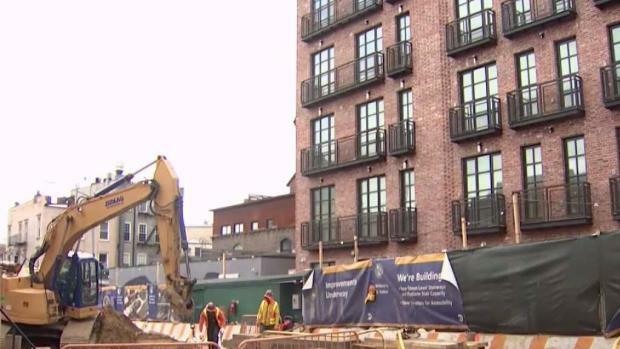 "Prices have come down because everyone's freaking out," said real estate broker Jonathan Tager. "It's like the storm that never came." Tager calls it a good day, but wishes it had come months sooner. "You freaked all the residents out for six months," he said. "I have clients who sold their property because they didn't want to live here anymore." Shanice Brown, who manages the Goorin Bros. hat store in Williamsburg that depends on the L train to bring in customers and employees, had been worried about what the shutdown would mean for business. "It didn't feel very secure at all," she said. "It was going to be very trial-and-error." The L train shutdown is already causing some Brooklynites to leave Williamsburg -- bringing rents down and reducing business for shops and restaurants. Roseanne Colletti reports. Some are questioning, however, if the new plan is truly the best option. 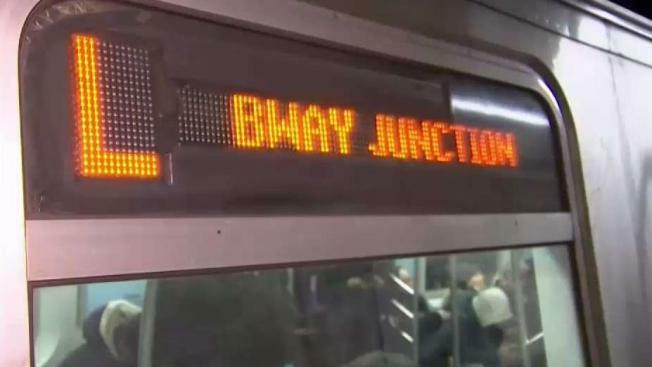 "The governor's plan may or may not work, but you'll pardon transit riders for being skeptical that a last-minute Hail Mary idea cooked up over Christmas is better than what the MTA came up with over three years of extensive public input," said John Raskin, executive director of the Riders Alliance, a transit advocacy group. Manhattan Borough President Gale A. Brewer said, "I want to know how we got this far in a years-long planning process for the shutdown without this new option coming up, but if the engineering is sound, then we should take yes for an answer and avoid a full shutdown." Brewer said she plans to attend the MTA's four public hearings on the new plan over the next two weeks and push for the previously planned mitigation measures to go forward. Brooklyn Borough President Eric Adams said the new plan "left me with more questions than answers." "I welcome good ideas, but not at the expense of solid planning and communication," he tweeted. "Brooklyn will have more to say." On Twitter, people seemed more angry than pleased by Cuomo's announcement. "This is going to be a disaster," tweeted Jason Rabinowitz. "How much has @NYC_DOT @MTA and other agencies already spent to make the L train shutdown plan sorta work just to have @NYGovCuomo wreck it all? Tens of millions?" "@NYGovCuomo defying years of planning and community input to completely upend the plan to rebuild the L tunnel 3 months before it was slated to begin after campaigning on not controlling the @MTA is insulting and disgraceful," tweeted Arthur Tarley. It's not clear what will happen to the contingency plans the MTA was lining up for the shutdown, like increased service on the G and other subway lines, bus shuttles and a bike-only 14th Street. So... all those SBS and bike lanes the city painted for the #LTrainShutdown will stay, right? I mean, please? They're already up there. Let's just keep them. Cancelling the #LTrainShutdown is amazing but there's been so much work and money already invested into helping Brooklynites through this period that was now all pointless? The L line is one of the city's most crowded, running through neighborhoods like Williamsburg and Bushwick that have become major draws for young people and the businesses that cater to them, like restaurants and bars. Since 1990, ridership has vastly increased, with about 400,000 rides on an average day. Of those, more than half go through the tunnel. Here is the truth, New Yorkers. If you *ever* want your subways fixed and upgraded on par with other countries, you will need to tolerate long-term closures of subway lines. that Cuomo decided to cancel the whole #LTrainShutdown proves how big of a mess it would be w/ commuters on buses, other trains, bikes, etc. b/c the city would never convert car lanes to bus or bike lanes, congestion & cyclist/ped deaths would rise.